If you're at least 55 years of age, Sprint has a pretty attractive offer for you. The carrier just announced a new Unlimited 55+ plan, which allows you to get two lines of unlimited data, talk and text for $70 per month - that's just $35 monthly for each line. The first line costs $50 per month, while the second one is $20 (thus, if you only need one line, you can not get it for $35). 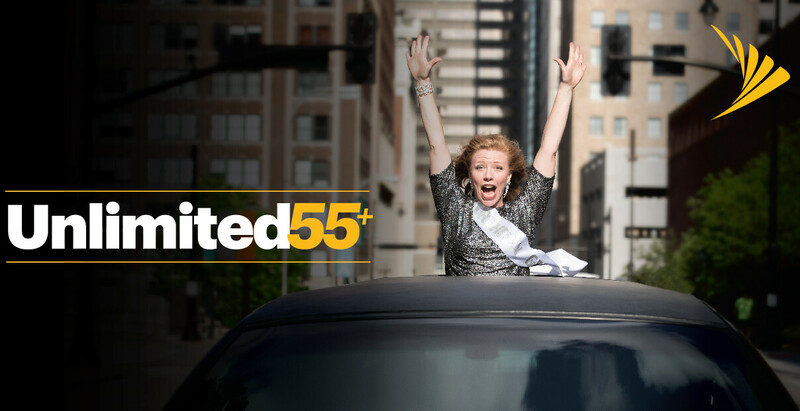 As previously reported, Sprint's new Unlimited 55+ offer will be available starting tomorrow, May 18. The plan is similar to T-Mobile's Unlimited 55+, which also allows customers ages 55 and up to get two lines of service for $35 each. All this makes sense, as T-Mobile and Sprint will soon merge - assuming the deal passes all the regulatory hurdles. Sprint's Unlimited 55+ plan includes free global roaming (to over 185 countries) and unlimited mobile hotspot data, albeit only at 3G speeds. You'll need a valid ID in order to choose the new plan. Normally, Sprint offers two lines (with everything unlimited) for $100, so customers who are eligible for the Unlimited 55+ plan can save $30 every month. That's quite nice, isn't it?